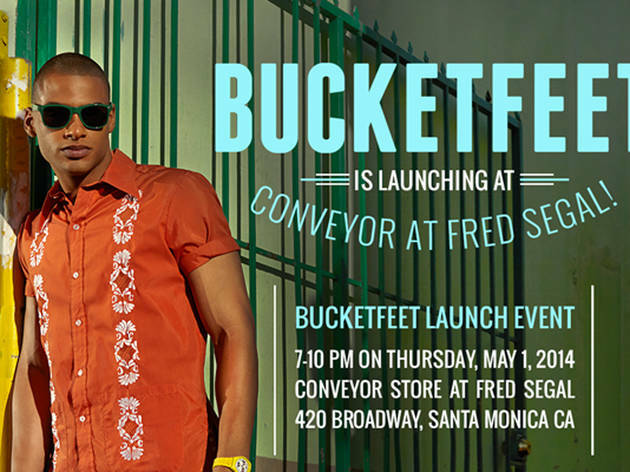 Up-and-coming footwear brand Bucketfeet will be hosting a launch party at Conveyor at Fred Segal. Unconventional and innovative, Bucketfeet brings crowdsourcing to its designs with each shoe designed by a different artist – Archer One, Shplinton, Tekst, and TK Anderson - many of whom will be present at the party. Head down to grab a bite (from Kogi, no less!) and a drink and mingle with fellow shoe-lovers and artists. Tip: be sure to RSVP for free entry.